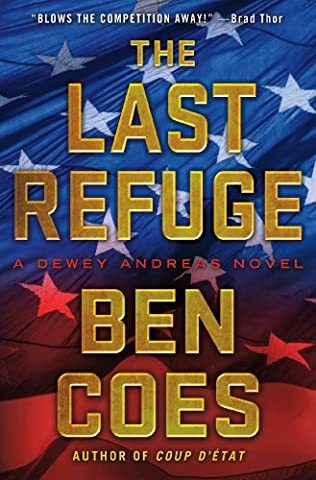 Ben Coes is an author I came to really like for his Dewey Andreas spy thriller series. After reading books by popular authors in the genre like Lee Childs, Vince Flynn, Brad Thor, Daniel Silva, and others, I wanted to find a new author that would fill the void until new books in the respective series are out. This is how I came across Ben Coes and Tim Tigner (who is also listed on this site). I have literally devoured their books throughout this May and June. 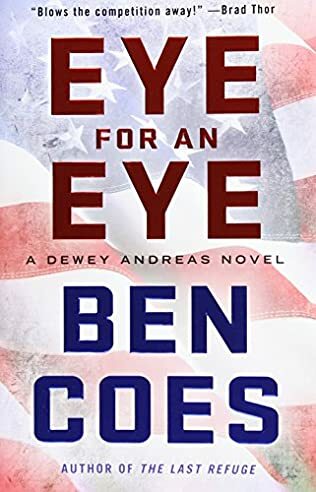 So here are the Ben Coes books in order for his popular thriller series featuring Dewey Andreas, a former Army Ranger and Delta, who once left the field being disillusioned with the entire business but now is drawn back to the spy and counterterrorism field almost against with will once again. Ben Coes was born in 1966 in Hartford, Connecticut. He grew up in West Simsbury, Connecticut and attended the Groton Boarding school in Massachusetts, which enrolls students between the eighth and twelfth grades. Next, he attended the Columbia College in New York City. After leaving college, Ben became an intern at the White House during the presidency of Ronald Reagan. Later on, he became the White House-appointed speechwriter for James D. Watkins, former U.S. Secretary of Energy, during the presidency of George H.W. Bush. Ben Coes was actually accepted into the Navy Seals program, however, soon after, doctors discovered a heart condition that eliminated him from the very extensive and dangerous training. So since he couldn’t finish his training, Ben Coes decided to write about people who actually do. 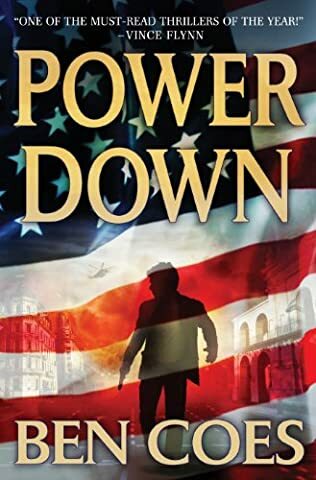 The first Ben Coes book, Power Down, was released in 2010, and it marked the beginning of a new powerful spy thriller series featuring the reluctant hero Dewey Andreas. The first book took the world by storm, receiving high praise from readers, critics, as well as two of the most popular contemporary thriller authors: the late Vince Flynn and Brad Thor. 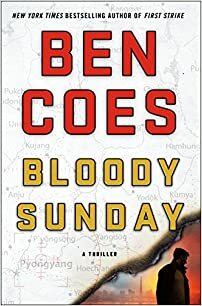 Currently, the author’s latest novel is Bloody Sunday, released July 2018, following which Ben Coes admitted that he is already working on the first book of a new series which I am very excited about. If it’s anything like the Dewey Andreas books, the new series will be yet another winner both for the author and for his readers. 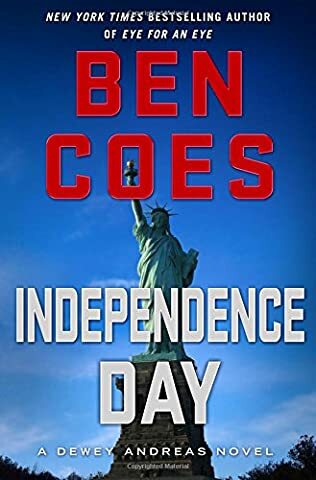 The Ben Coes books are all built around current events, although the author does give them a dramatic place in his stories. For example, Eye for an Eye touches on China debts and how that country has a serious leverage over the US. Also, the books touch on the Snowden leaks and how those affect the US, while they shed some light on how using for-profit companies to do the work for the US government is detrimental to the country as a whole. 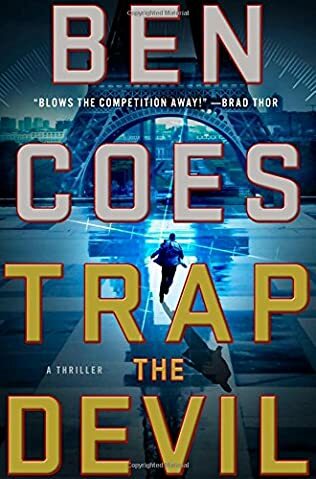 Several years ago, Ben Coes and his wife started a charity called Thrillers for America’s Best, where they try to help the enlisted abroad and those who returned scarred and with PTSD by donating thrillers to various veteran hospitals around the country. While initially they were sending out only the Ben Coes books, later they started giving to hospitals also thrillers by other authors like Mark Greaney. Currently, the foundation buys all the books themselves, although donations of books are not out of the picture. Dewey Andreas is a complex character with a lot of baggage. His wife, Holly, took her own life several years prior to the story in Power Down, and this is something that Dewey feels immense sadness and guilt over the entire time. He always felt that her death is on him, even though she was the one to take her own life. Well, Trap the Devil, the seventh book in the series, has an interesting twist that I didn’t see coming. It’s a twist that will shed some new light into the death of his wife. Of course, couple that with the death of someone else he got involved with, seems at times too much for Dewey, and although he is not shy from women, he now is avoiding relationships like the plague. Ben Coes himself admitted that Dewey Andreas shared many of the traits the author aspires to and admires, including a deep patriotism, self-sacrifice and hard work when needed. When the author looks at the current threats facing the United States, he places Dewey smack in the middle of them and urges him to solve the issues in his own way, fueled by a deep patriotism for his own country. Patriotism is the heart and soul of my books. In today’s world with all the threats we face, it’s the most important asset that we have as a country. It’s more important than how big our military is or what weapons we have. Dewey Andreas not only loves his country deeply, but he also comes with a unique set of skills that make him perfect for the dangerous tasks at hand. As mentioned before, he is also battling his own demons, so he is a flawed human being who tries to do his best every time. So who exactly is Dewey Andreas? He was born in Castine, Maine, on a farm where he was also raised. He attended Boston College, and upon graduating, he joined the Army Rangers, graduating from Winter School ranked 1st out of a class of 188 recruits. Because he was top of the class, he was recruited into the Delta program. He married Holly, who was from the same place he also grew up, and together they had Robbie, a small child who died of Leukemia at the age of six. Soon after, Holly committed suicide and Dewey was falsely accused as killing her. He was soon thrown out of Delta. He was acquitted; however, being strongly disillusioned, he left everything behind and went to work on various offshore oil platforms, including Capitana, a massive oil rig nearby Columbia, which is where the first book in the Dewey Andreas series also takes place. And the rest, as they say, is history. 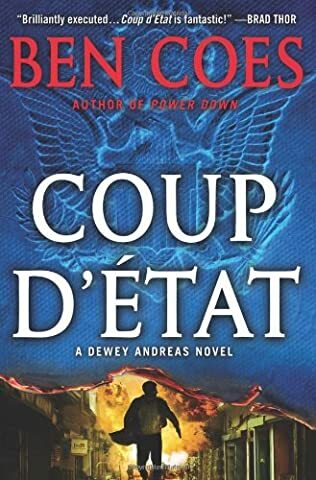 Dewey got pulled back into the clutches of the American politics and counterespionage, and now he is doing work that needs to be done (sometimes not even sanctioned by the powers to be) to save the country from its enemies and threats.